In spite of Cyril Ramaphosa’s ‘new dawn’, there are powerful forces in the ruling party that risk losing everything if corruption and state capture finally do come to an end. At the centre of the old guard’s fightback efforts is Ace Magashule, a man viewed by some as South Africa’s most dangerous politician. 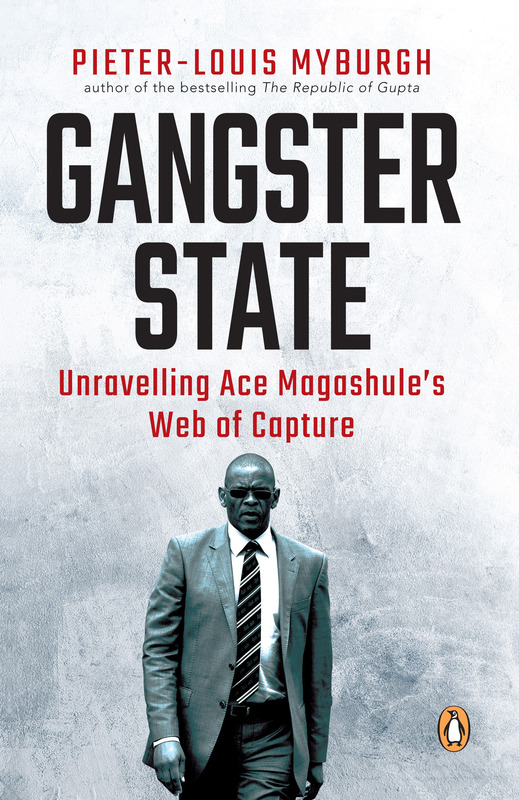 Gangster State is an unflinching examination of the ANC’s top leadership in the post– Jacob Zuma era, one that should lead readers to a disconcerting conclusion: When it comes to the forces of capture, South Africa is still far from safe. Pieter-Louis Myburgh is an award-winning investigative journalist. His series of exposés on a multibillion-rand contract for new locomotives at the Passenger Rail Agency of South Africa (Prasa) earned him several accolades, including South Africa’s prestigious Taco Kuiper Award for investigative journalism. After completing his BPhil (honours) in journalism at Stellenbosch University, Myburgh cut his teeth as a general reporter at Beeld newspaper in Johannesburg. He found his feet as an investigative journalist at the Afrikaans weekly newspaper Rapport before moving to News24, where he still exposes the mechanics of dodgy deals and crooked cronies.